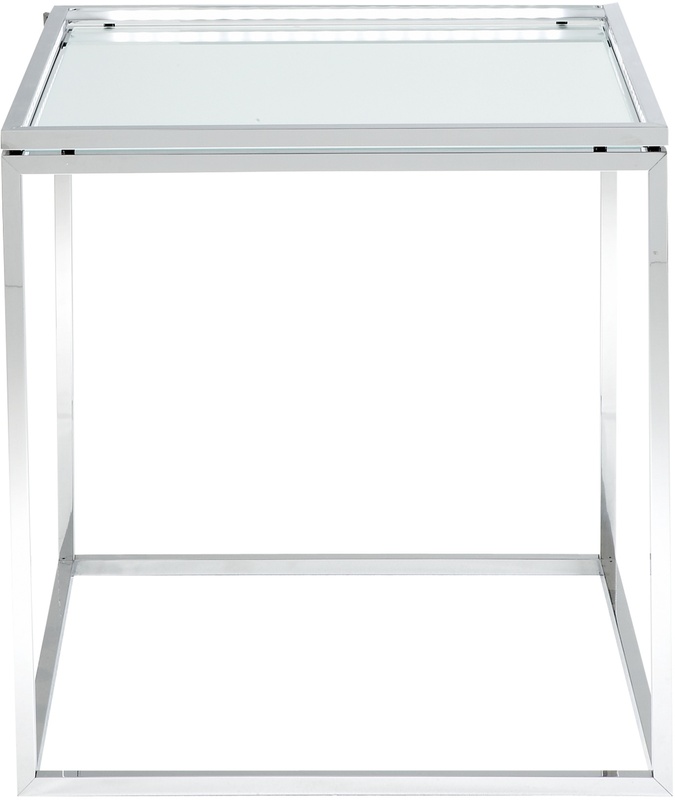 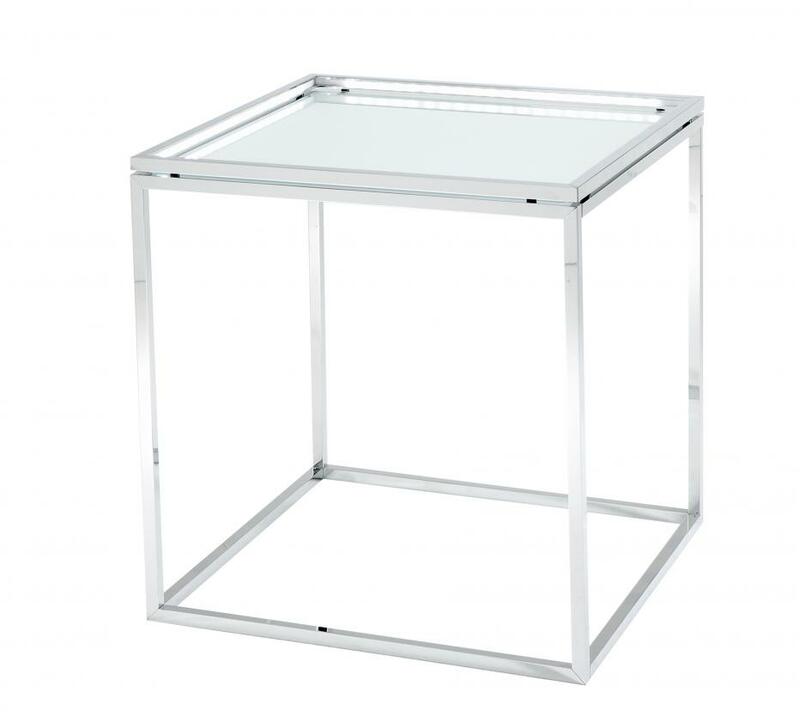 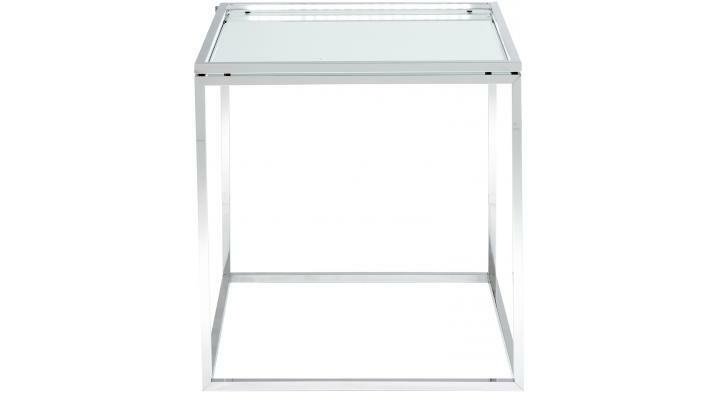 Illuminated table with brilliant-chromed base and clear glass top; upper part of frame incorporates 120 LED's (30 per side) with a combined power of 20 W, emitting 456 lumens - that is, equivalent to a 60 W incandescent light. ENERGY CLASS A+. 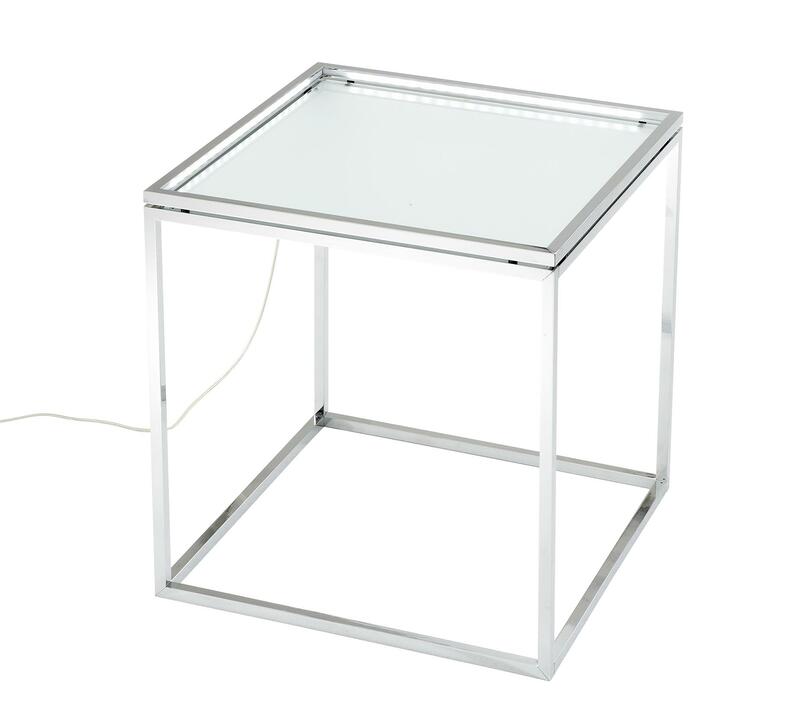 May also be used as a bar table, with the light being diffused amongst the bottles.